Woo Hoo - Happy Weekend! rolls around - just habit I guess! 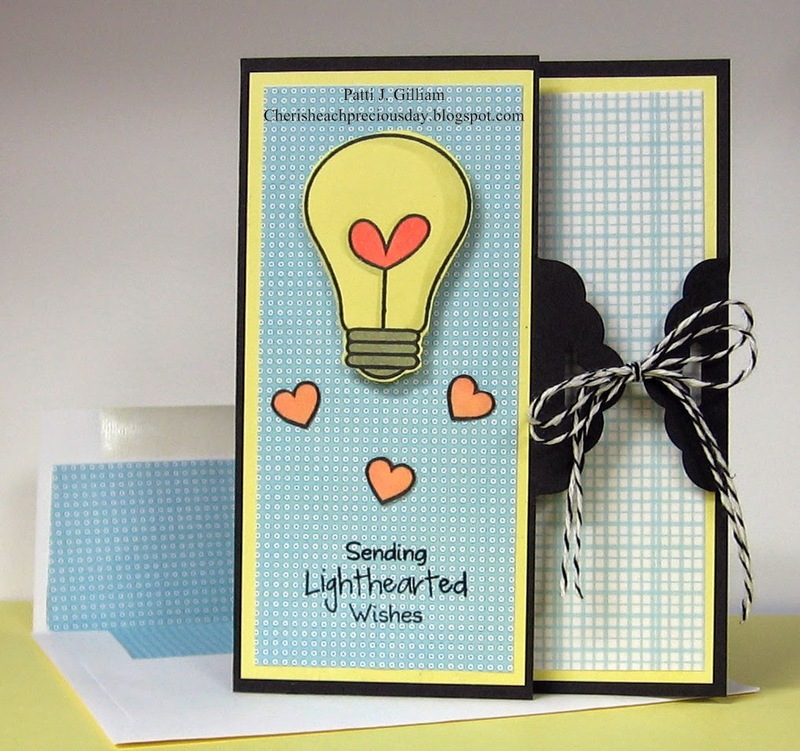 Here's another card for the Guest Designer Challenge at Stamp TV. There's still time for YOU to enter! The mask was a strip of masking paper, laid on the diagonal of the card. Stamping was done, both above and below the masked strip. 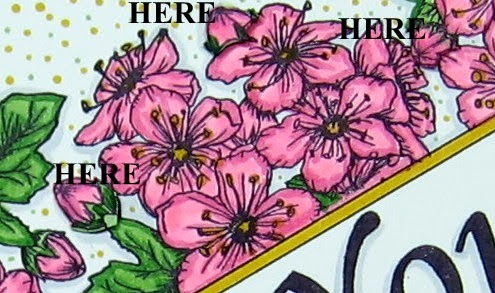 After removing the strip, 2 lines were drawn with my Zig pen, and colored between the lines with the color of the flower centers. It was a perfectly flat, one-layered beauty, until.....(to be continued). 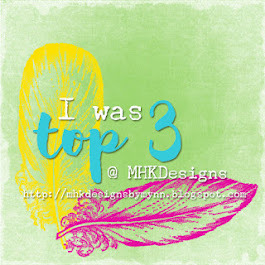 A couple of years ago, Melanie Muenchinger created 'Stately Flowers 2' for Gina K. Designs. This beautiful set features flowers of Alabama, Nebraska, Kentucky, and Missouri. beyond words, when Melanie asked me to guest design this set for her! This is still one of my favorite 'go-to' sets when I need a pretty card. The sentiment is from another fun set that I love - 'Stamp it Big! 2' by my friend Carolyn King. 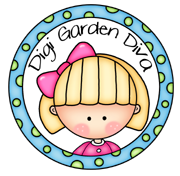 Cammie (Carolyn) is a talented designer for Gina, and I love her happy creations! In case you still haven't spotted the popped up buds, here's a close up with some hints! Tee hee... When I was a brand new stamper, I went to a class taught by a lady named Shirley, who is now one of my dearest friends. At my first class, she said 'there are no mistakes in stamping - only creative opportunities'. So, Shirley - how do you like this creative opportunity??? We have a memorial to attend tomorrow for a very special and dear aunt of mine. Heaven certainly gained a wonderful new angel, but we will miss her so much. Here are two more cards for the Gina K. Designs guest designer challenge for June - the challenge is to use masking techniques. 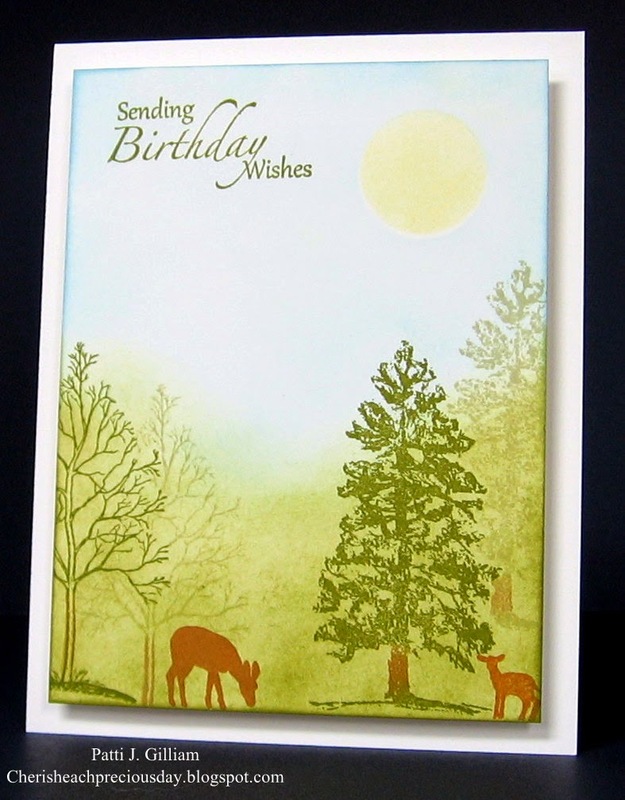 For this first card, the center image was stamped on the cardstock center, and then again on masking paper. The mask was cut out, and laid over the center image. The image was then stamped again on the left and right, stamping right over top of the masked butterfly. When the mask is removed, it appears that the center butterfly is flying in front of the others. To ink, each color was applied with small sponge daubers, directly to the stamp. I huffed to remoisten the ink, and stamped. 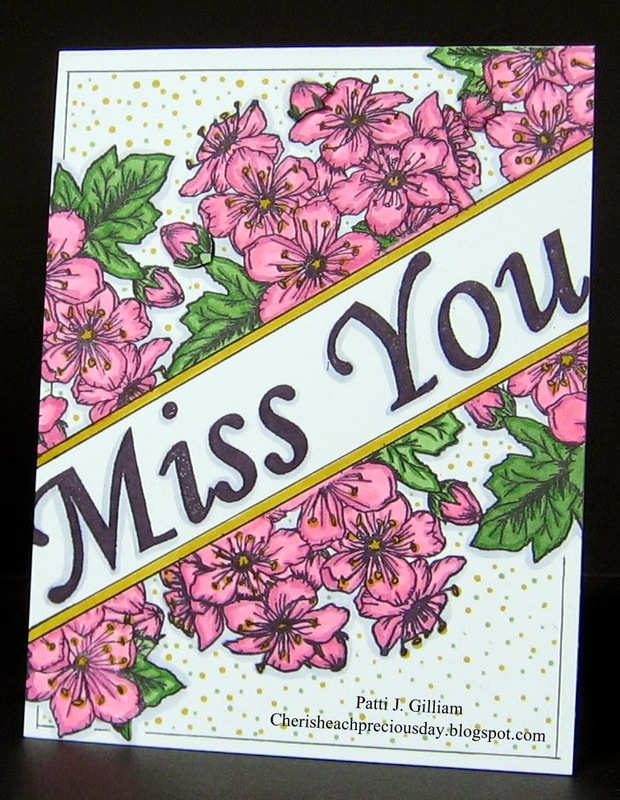 For this card, a strip of masking tape was put down directly on the cardstock, at the top and the bottom, masking the areas that were NOT going to get inked. 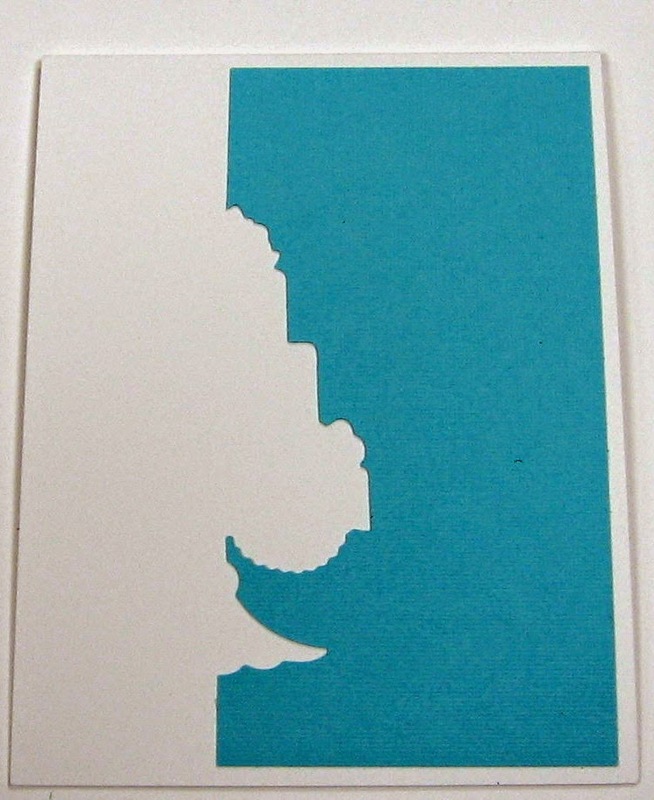 Using Peeled Paint Distress ink, the cardstock was sponged in between the two pieces of mask. Once sponged, the images were stamped, and the focal panel was matted with black, and mounted onto the card front. Easy peasy! Gina K. Designs Pure Luxury White Cardstock and 'Elegant Florals' Stamp Set, by Theresa Momber, Tim Holtz Distress Ink: Peeled Paint, Gina K. Designs Black Onyx Premium Die Ink, Tombow Adhesive, Perfect Papercrafting Perfect Layers Mini Rulers (see sidebar for details). Off to start some supper for my handsome man! 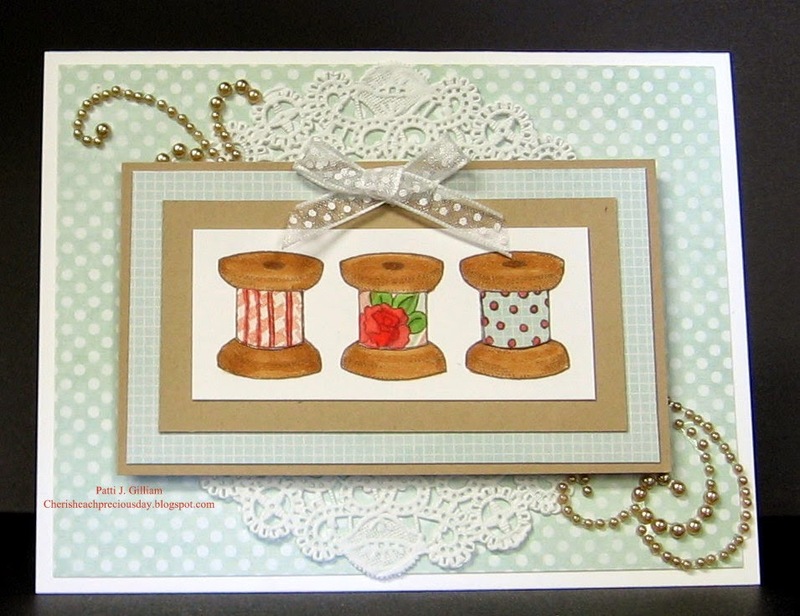 The second challenge for the guest designer spot is posted at StampTV, and I'm going to give it a shot! The challenge is to use a mask. 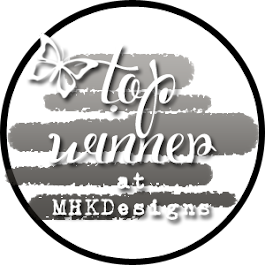 Supplies: Gina K. Designs 'The Northwoods' by Theresa Momber, Tim Holtz Distress Inks, Gina K. Designs Pure Luxury White Cardstock, Dimensional Foam (Michael's). To begin, a circle was punched out of the masking paper, and placed on the cardstock. Squeezed Lemonade ink was daubered into the circle, and the outer mask was then removed. The circle mask was added, and I then began using Peeled Paint, Old Paper, and Tumbled Glass to create the background. Once the background was finished, the forward most trees in the lower left and right hand corners were stamped with "Peeled Paint". I made a mask of each tree, cut them out, and placed them over the stamped trees. The next step was to stamp directly onto the mask with each tree, using "Old Paper". Each time I stamped, I first sponge daubered a bit of "Rusty Hinge" on the tree trunks. The two deer were stamped in "Rusty Hinge" also. This is such a lovely stamp set, that I debated on embellishments, finally deciding to let the focal panel speak for itself. The panel was placed on the card front with dimensional squares. I know...cheesy title. Don't you get tired of trying to name your posts something non-boring? Crafter's Companion 'Sheena's A Little Bit Sketchy' Stamps, Inktense Watercolor Pencils, the sentiment was from Shirley's stash - don't recall who's it was. Also used Perfect Layers Mini Rulers for black mat - love them and rarely create without them! See my sidebar for details! and ended up shopping for something amazing while doing so? Literally - the Visa is still smokin' hot! 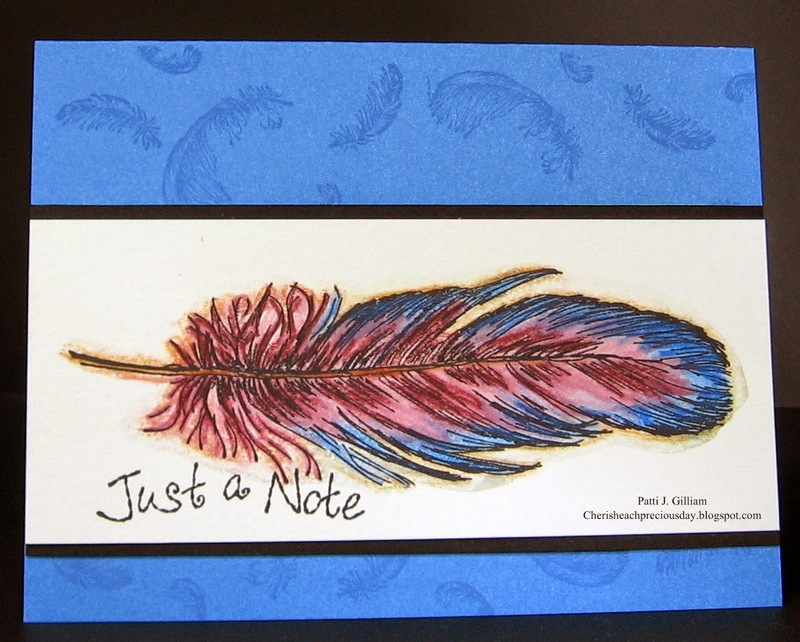 My friend, Shirley and I got together for a crafty day, and we made feather cards. I pretty much cased Mary Dawn's card exactly. I certainly couldn't improve on hers, as it was perfect! We are parents of an Air Force Major, and parents-in-law to an Army Captain, married to our daughter. Both of these men have been deployed multiple times. Memorial Day is something that we take seriously. Today, we are here to honor those who have served and given their lives for our country. 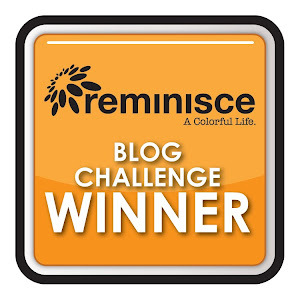 I feel blessed to be a participant in the 2014 Operation Write Home Memorial Day Blog Hop. What a great way to say thank you to all of our service men and women, and their families. Not familiar with Operation Write Home (OWH)? It's a wonderful organization, dedicated to keeping our deployed troops in touch with their loved ones. 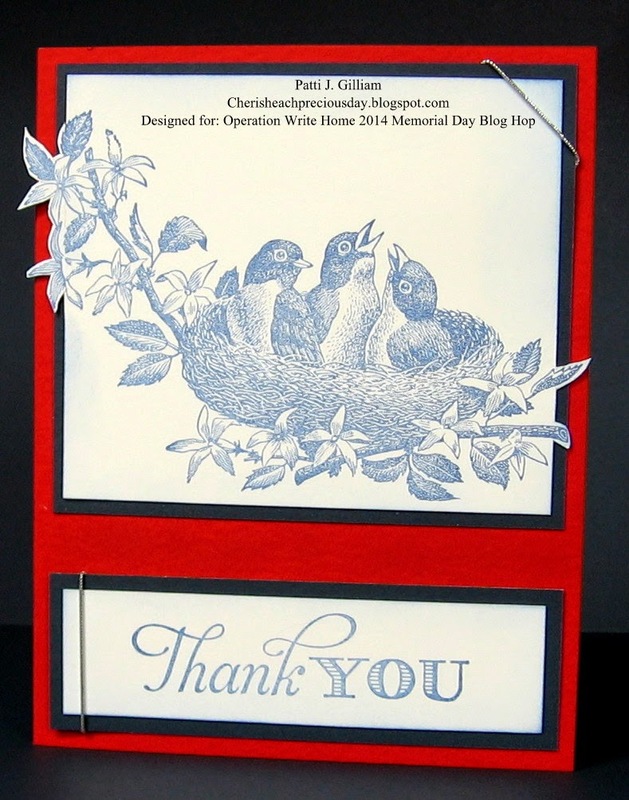 We card makers send in handmade cards, and OWH distributes those cards to troops who have requested them. This allows our heroes to send notes home to their loved ones. Please take a moment to stop by their blog to read about the many ways they support our troops on a daily basis, and how you can help! And write that 'Any Hero' note today, and send it to OWH! If you get lost along the way, just click on the photo at the top of our posts - it will take you to the OWH blog and you can start where you left off! My cards today feature OWH sketches. 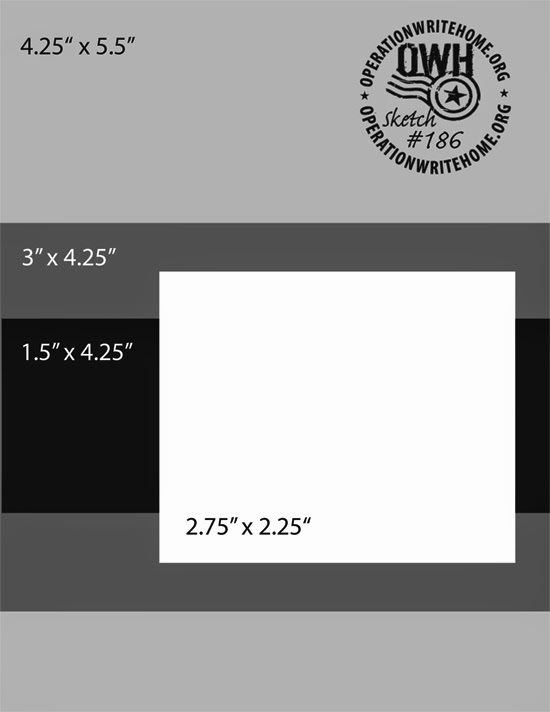 Each of the OWH sketches is fun, challenging, and perfect for cards that you might wish to mass produce for our military men and women. 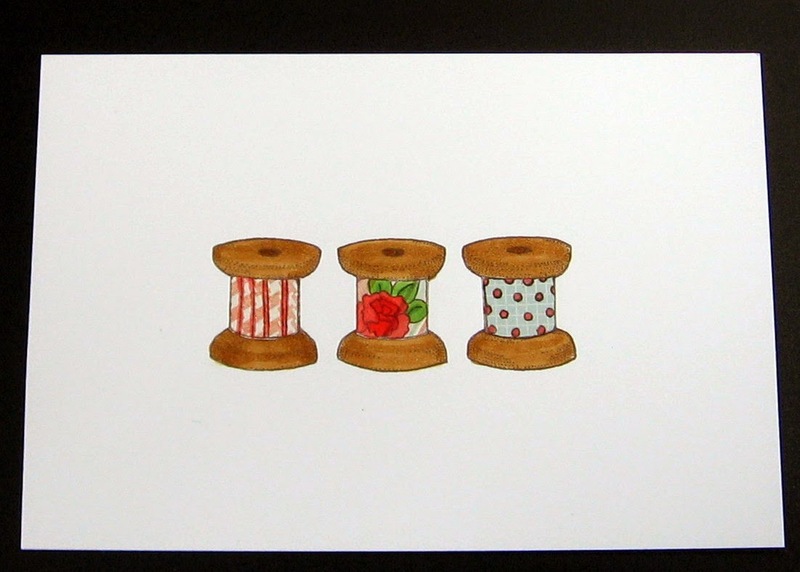 Tiddly Inks Image, Colored with Copic Markers, Amuse Studio Cloud Cardstock, Colorbok Blue Cardstock, Bazzill Red Stripes, sentiment is a Stampabilities from Hobby Lobby, Perfect Papercrafting Rulers for blue mat. See sidebar for details!. Amuse Studio Image 'Touch of Nature' and sentiment 'Thank You Mix', Colorbok Navy Cardstock, Bazzill Red Cardstock, Perfect Papercrafting Rulers for beautiful mats - see sidebar for details! Great Impressions Sentiment 'B193S So Thankful for You', Bazzill Striped Cardstock, Colorbok Navy Cardstock, Star Stamp from 'Stampland' (convention stamp - not sure of full company name), Perfect Papercrafting Rulers for nice straight mats - see sidebar for details! 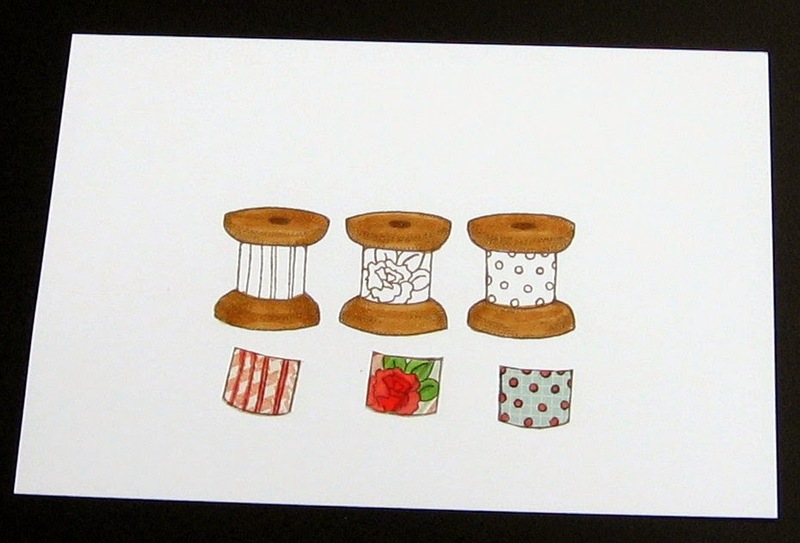 Card #1 follows an OLD sketch - number SIX, and a sketch for Sketch Saturday. I've entered it in the Sketch Saturday challenge. Also entering in the challenge at Tiddly Inks "Head in the Clouds"
Card #2 uses OWH Sketch #186. 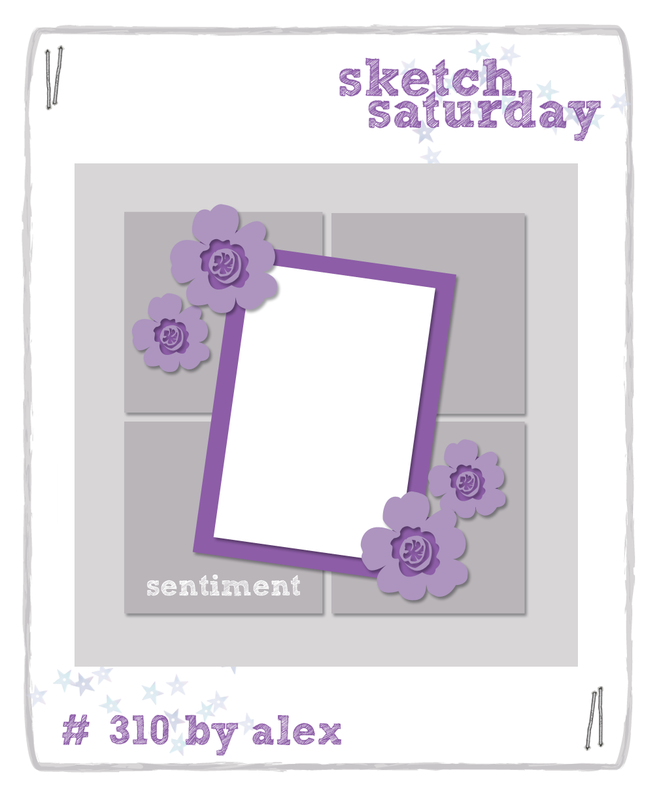 Card #3 follows OWH Sketch #223. I had to put the upper cording on the right side, due to the image being pretty tall. I'm off to work the church office today, but wanted to share this card. The challenge at Our Daily Bread Designs this week is a sketch. Here's what I made, using 'Violet'. 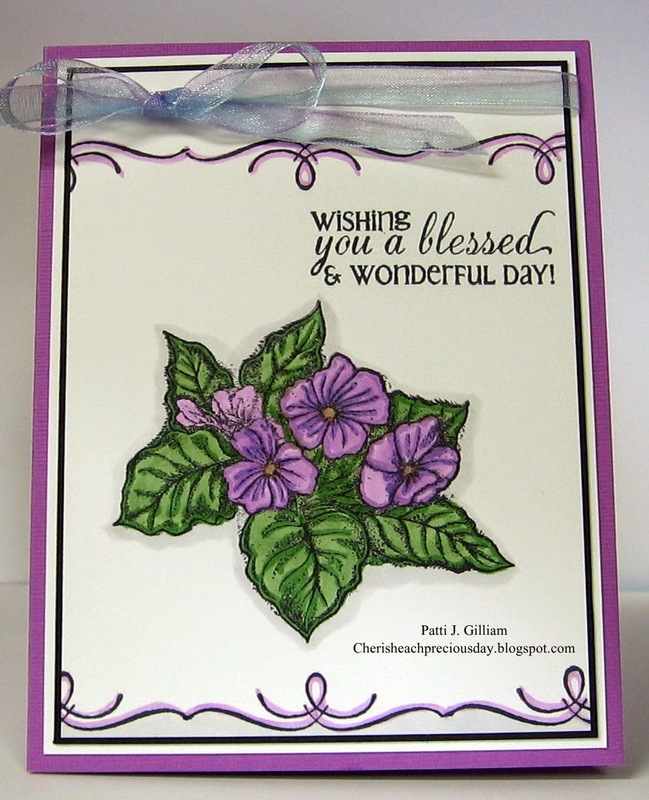 The beautiful sentiment set 'Flourished Verses' had three fun swirley stamps. I decided to use one of them, rather than paper borders...love the way it turned out, and so quick! And look at those beautiful layers! Couldn't do that without my trusty Perfect Papercrafting Rulers! See sidebar for details on how you can get your own and save money! Still time to enter - hurry over! 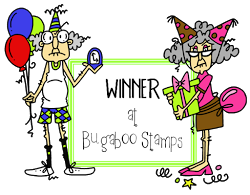 I actually won this stamp with my last challenge entry! Remember...the one I was afraid to enter? lol...SO glad I did! Check back tomorrow for the Operation Write Home 2014 Memorial Day Hop! 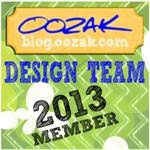 You may recall a few months ago, when I tried out for a guest designer spot on StampTV for Gina K. Designs. Well, I didn't make it that month, and things have been a bit too hectic to try again, until now. Used my Perfect Papercrafting Rulers to get the beautiful, straight mats! Check out my sidebar for full details! I think there's still time to get something submitted for this contest - hope to see YOUR creations in the gallery! I'm off to link up my card! This one's going to our church secretary, who is in the hospital for a few weeks. 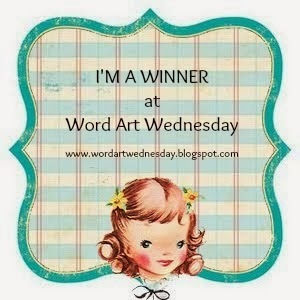 Word Art Wednesday - just in the nick of time! ourselves in her girl cave for HOURS, and only came out for food or restroom breaks. What fun! Thanks, Shirley - not sure which one of us needed that the most! Here is one of the cards we made. 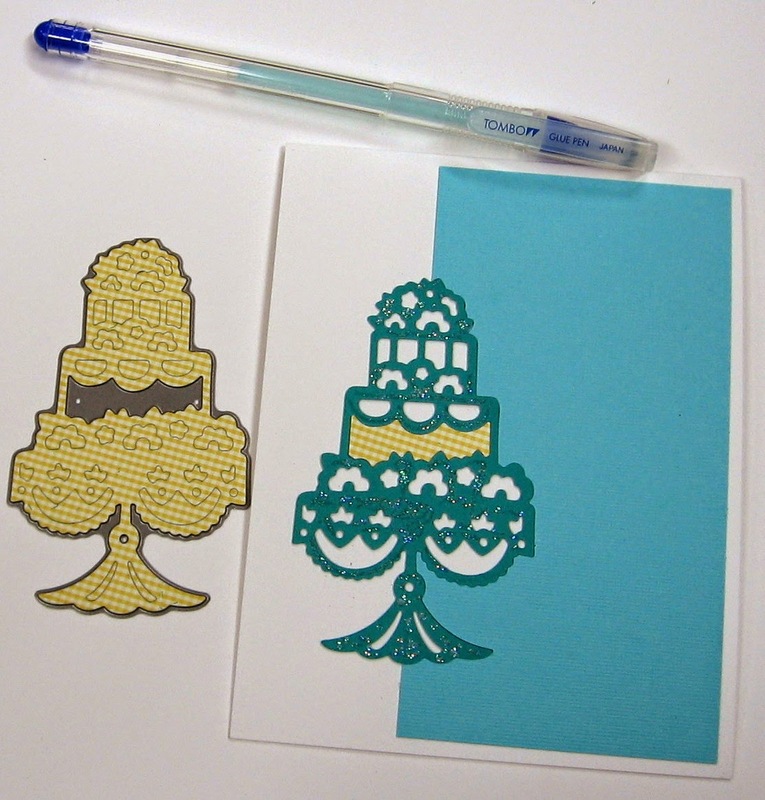 We've been seeing these cards made with the Stampin'Up! Scallop Tag Punch, and since we both own one, we decided to give it a try. 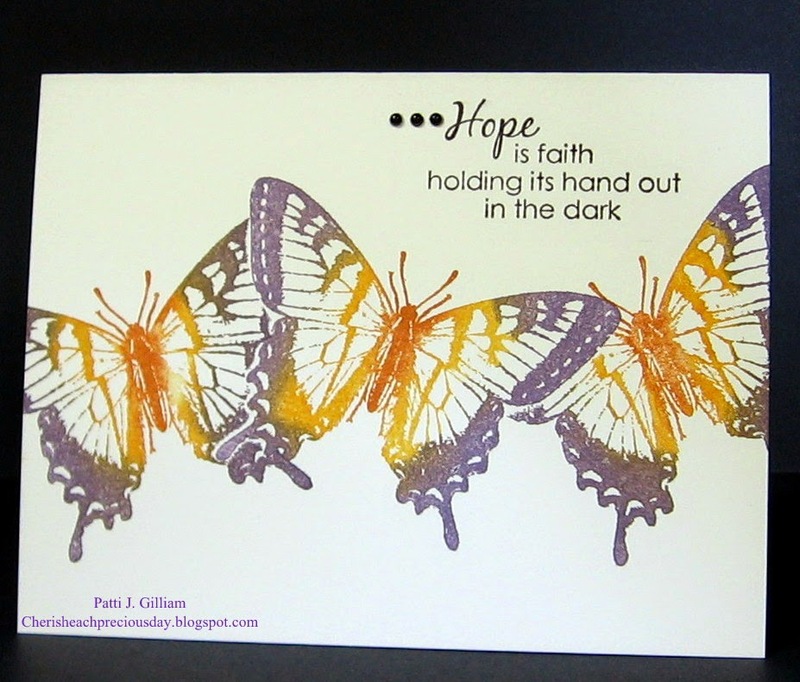 The paper is also a new paper from Stampin'Up! 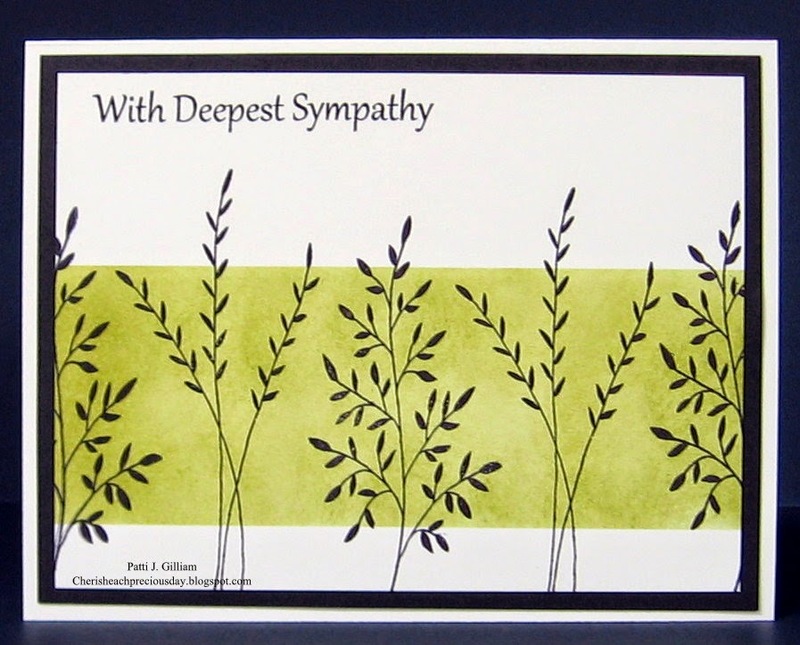 The sentiment is a stamp from Hobby Lobby - don't remember who makes it. Used my Perfect Layers Rulers to create the beautiful mats - check out my sidebar for details! We both love the way it turned out, and I'm going to squeak this in to Challenge #132 at Word Art Wednesday, JUST in the nick of time! I think it closes in about 6 hours. I'm on my way to see what you've been up to! Do you think summer's every going to get here? Each time I think we're getting closer, here comes another cold spell - one is due to come through here Wednesday evening. Bah. I used papers from the Everyday Life and In the Zone collections. It was a lot of fun to cut out pieces and pop them up. The sunburst is an Amuse Studio Stamp, and the sentiment is an old wooden Stampendous stamp. I thought this would be fun for a 10 year old boy! Yikes - this was a tough one - guess that's why they call it a challenge, right? Would be a great page layout, wouldn't it? 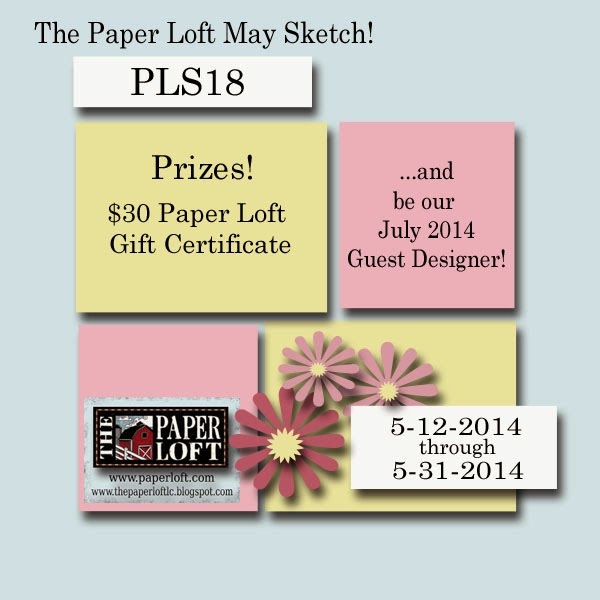 Get out your Paper Loft Papers, and head over to enter. As of yesterday, there were no entries yet, and the challenge is over at the end of May. You could win $30 in product AND a guest designer spot! Happy Monday to each of you. I'm filling in at the church again today, so I'll be MIA for the day! It's my day to post for the Die-Versions Blog, and I'm so excited with this month's release! 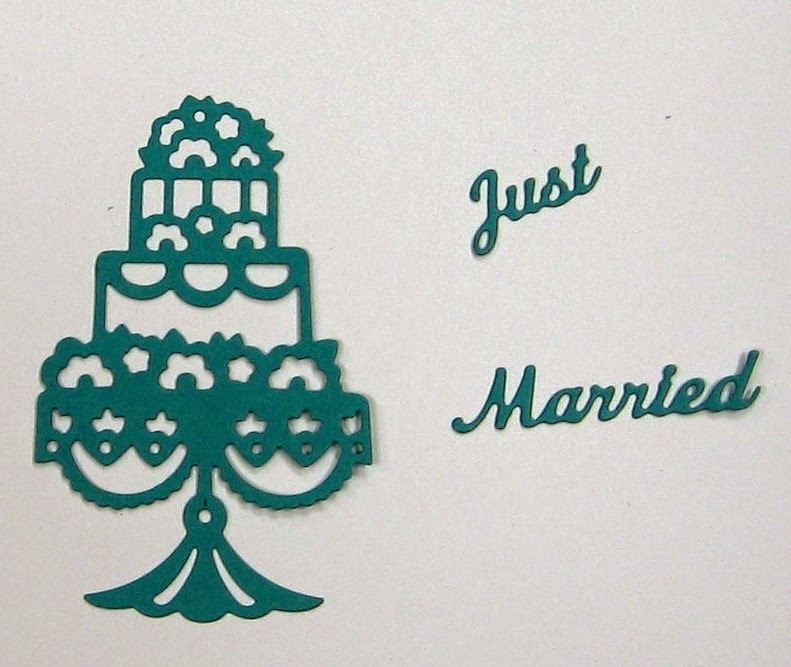 There are some stunning dies, and the theme for the month is Weddings. and OH MY GOODNESS, they cut so beautifully! Cut colored panel to measurement of your choice. I used 5.25" x 2.75". Center the cake die onto your panel and die cut. This is what your panel will look like. 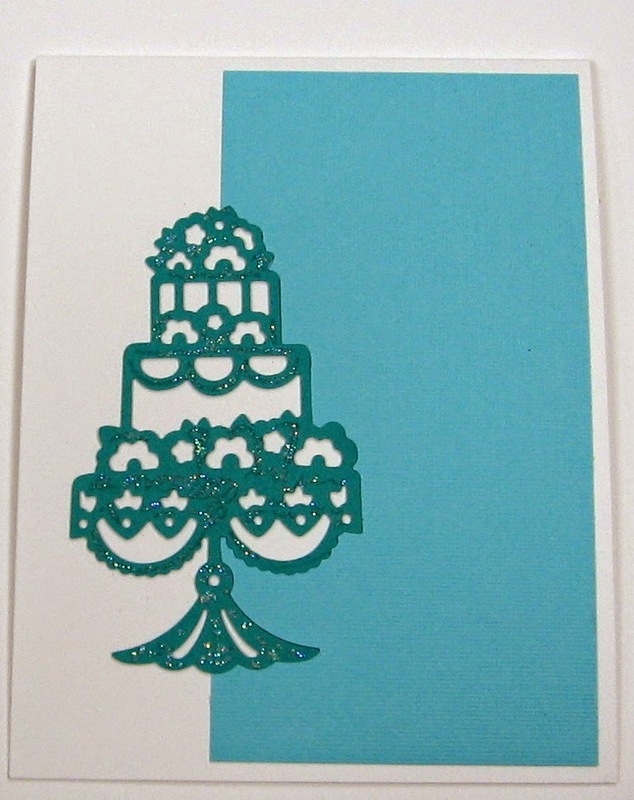 Cut the cake and words out of a coordinating color of cardstock and set aside. 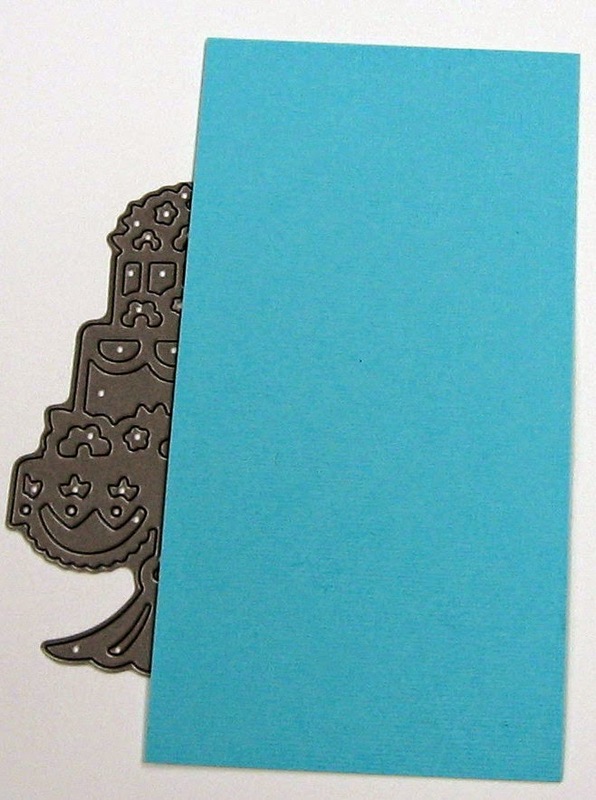 Adhere the colored cardstock to your card front. Be sure to get your glue around the cut out area, so it will lay flat. 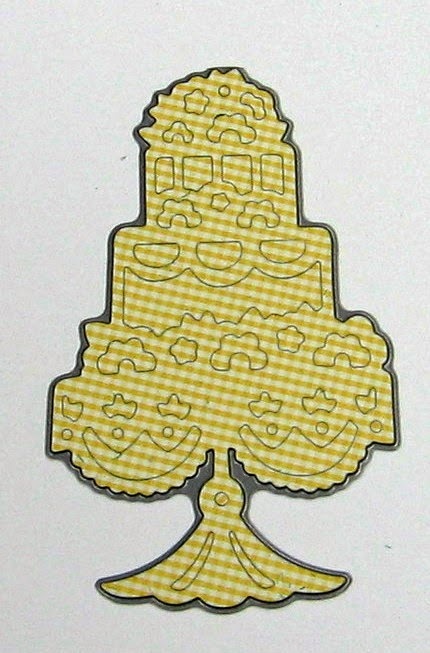 Cut the cake again, using a smal print of your choice. I used some Amuse Studio yellow gingham, but a pretty floral would be oh, so perfect too! Starting wherever you like, begin taking out pieces, and gluing them into the little openings. For my card, I used my Tombow Glue Pen. I have only had this a few weeks, and don't know how I functioned without it! Last, but not lease, add the sentiment, again using your glue pen. Easy peasy, right? It's a bit time consuming, but I think it's a fun technique, and can't wait to experiment with some different dies! Be sure to check out Die-Versions blog - each day, one of the design team members posts some wonderful inspiration. You will see everything from clean and simple to elegant, cards to altered items, or scrapbook pages. Hope to see you there! The Die-Versions store is FILLED to the brim with amazing dies, at reasonable prices. Check them out - you won't be disappointed! I sure hope that this finds you all well. My goodness - the week got away from me! I was out of town one day, filled in as church secretary another day, and so on.......you all know how it goes! No matter what plans we make, life happens, right? One of our great guys at church had a birthday this week. One of the things he likes to do is go up north someplace and bear hunt. He enjoys the hunt, but he loves just watching the bears in their natural environment, too. I purchased this stamp at a stamp convention that some friends and I attend each year. This was purchased several years ago, and there is no name on the stamp anyplace, but it was SO fitting for this gentleman. For the inside of the card, I repeated the largest nestie in white, cutting the bottom off straight, and distressed it with around the edges before writing the sentiment inside. 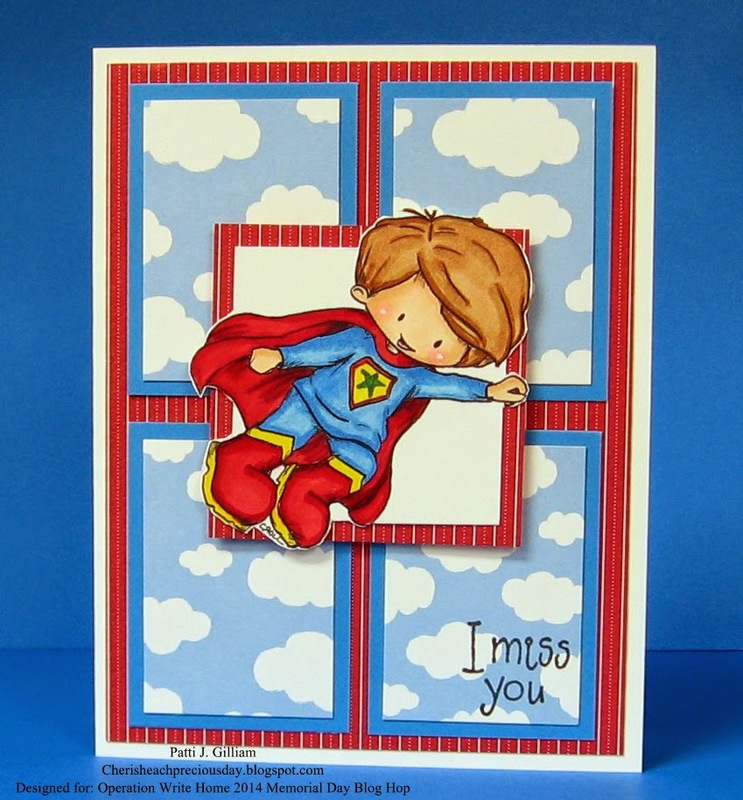 Tomorrow, I will be showcasing two of the new release dies at Die-Versions, and will have a photo tutorial for you. Hope you can drop by - you're going to love this new release! It's all about weddings!!! Welcome to our May 'Creations by AR' Hop! We have changed things up a bit - rather than a new release, the designers will all be showcasing their favorite Creations by AR templates. What fun! This will be inspiration heaven at each stop along the way! Now... how can YOU win a Creations by AR template of your choice? Leave a little love on each blog, and then leave a comment on the AR FB page, telling us which template you would like to win! Easy peasy!!! Your comments will be accepted until noon Eastern on Friday, May 16th. Good luck, and happy hopping! WOWZA! I had a really tough time choosing just ONE favorite, so I'm featuring a few of my faves - hope you don't mind the extra photos today! Simply cut, fold, assemble, and decorate! And here it is open! Of course, you can always make it with NO lid, too! The handle could also be left off. Cute, cute, cute!!! With Father's Day around the corner, wouldn't this chair be 'sweet' fun? 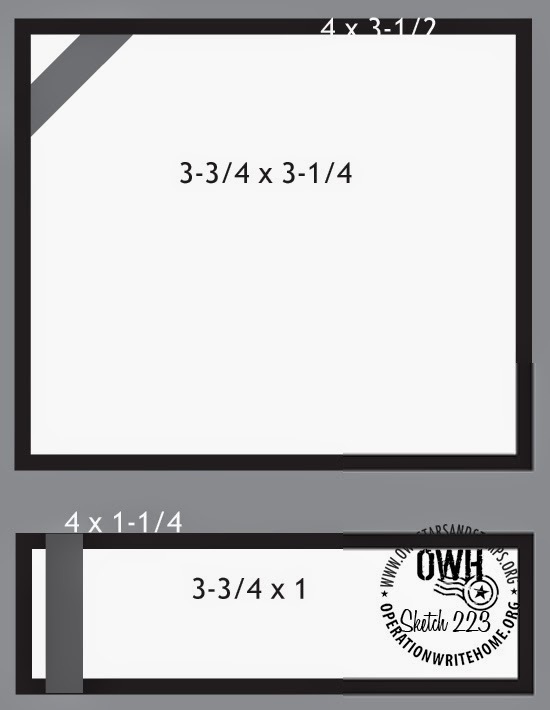 Another fun template is the Tux and Gown Box Set! There are SO many more, but I will stop with this fun Grad Cap Box. What a fun way to let that special grad know that you love them! Now, it's time to hop on! It's that time, again! School is nearly out, and we've needed some graduation cards. So far, we've had need for black and gold, and navy and white. I saw this idea about 2 years ago at Dawn Olchefske's blog, and sketched it out for future use. It came in handy this year! As it's all straight lines, what an easy project it was! out my sidebar for details!!! Don't you just love it when something really fun happens accidentally? 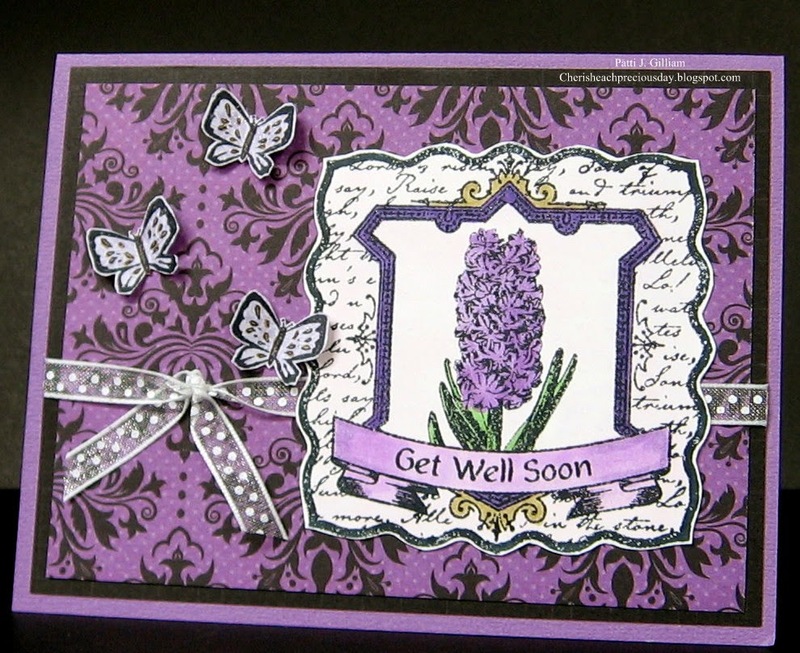 I had a scrap of purple on my desk from a card I made yesterday. 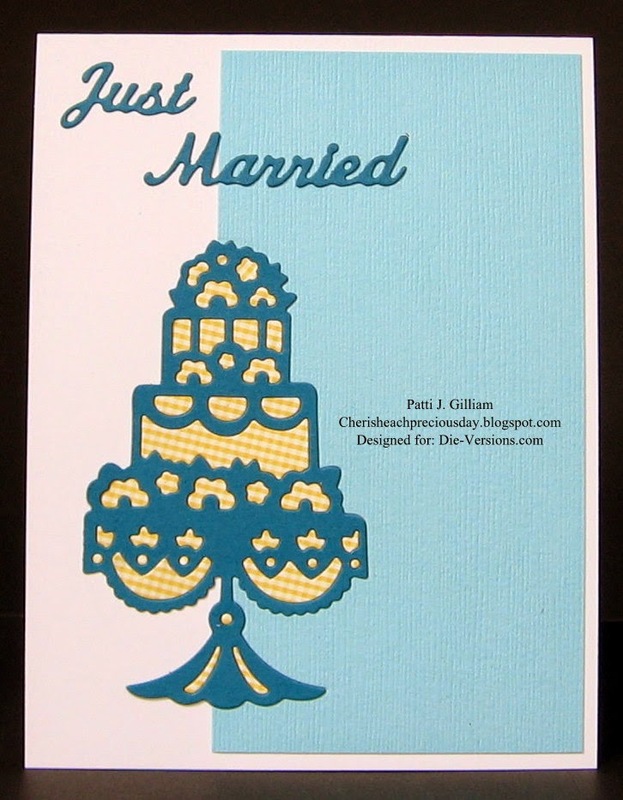 I grabbed it up, and die cut "Crochet Lace", one of my favorite Die-Verisions dies! As I looked down, I realized what fun it could be to use both pieces! Voila! - Check it out!!! Die cut is at the top, waste is at the bottom! Pretty cool, right? I used a favorite stamp set from Amuse Studios - used an ink dauber, daubing ink directly onto my stamp. I also used my Perfect Layers Mini Rulers for my mat (check sidebar for details). Be sure to check out ALL of the Die-Versions dies - they cut like butter, and are very affordable! You won't believe the wonderful selection! Be watching for a new release! Coming soon!!! Well. 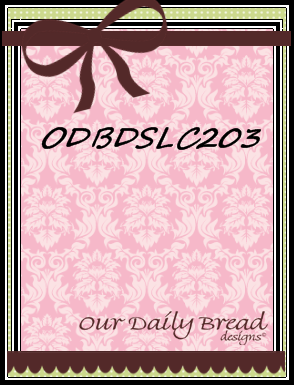 In all these years of papercrafting, teaching my own workshops, submitting for publication, etc., I've been terrified to submit a card of mine to the Our Daily Bread Designs challenges. Seriously terrified! Friends, there is some phenomenal talent over there on that DT, and I almost (ALMOST!!!) had to take up drinking to make myself step up to the plate. Anyhoo......took a deep breath! Above is my card for the ODBD 'Wing It' challenge. It's in the mail to a friend at church. 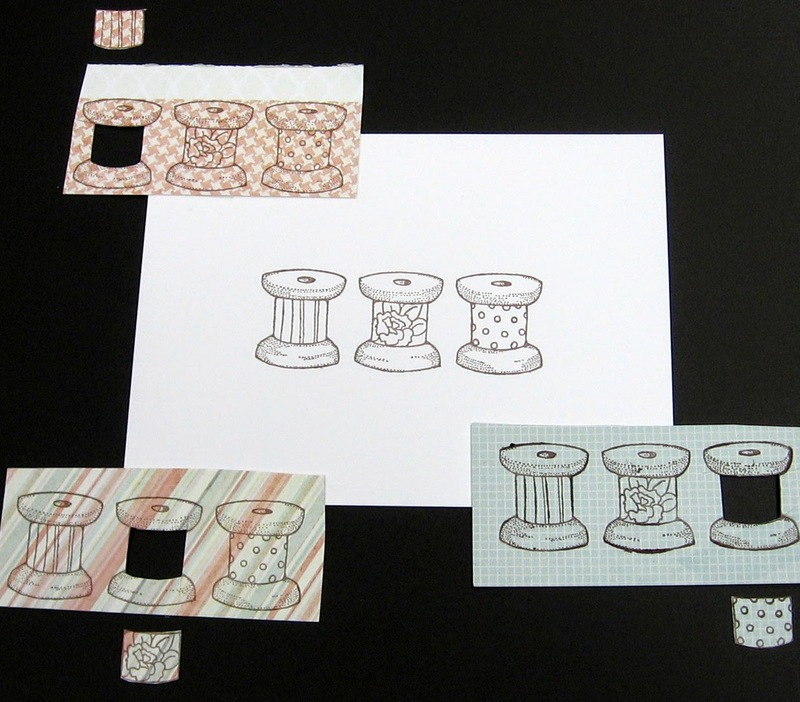 Next up, I have two ladies who have requested a photo tutorial on paper piecing. Believe it or not, I had just stamped an image, and was getting ready to do a tutorial, when I saw that the challenge this week at Great Impressions Stamps Blog, was to use a Great Impressions tutorial. I am using paper piecing! Mynn has a wonderful tutorial on the GI blog, if you need to check out another one. 1. Stamp your image on cardstock panel. 2. Stamp image on fun papers. 3. 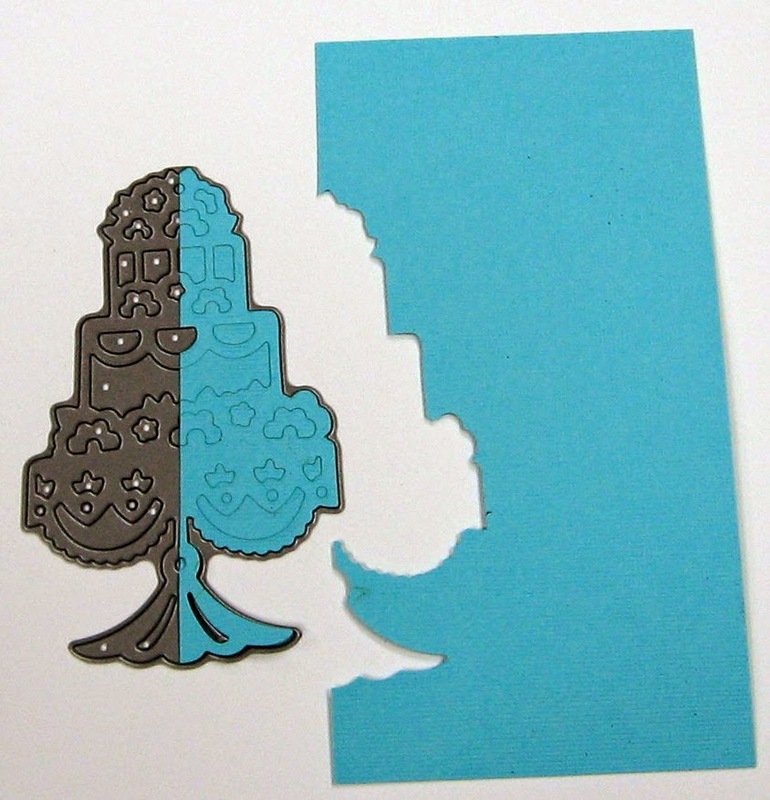 Cut out the section to be paper pieced. 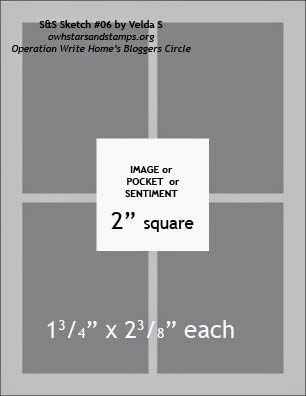 Decorate your paper pieced panels if desired. I colored mine a bit with some markers. I also colored my spools with markers. Adhere the paper pieces to the stamped image. 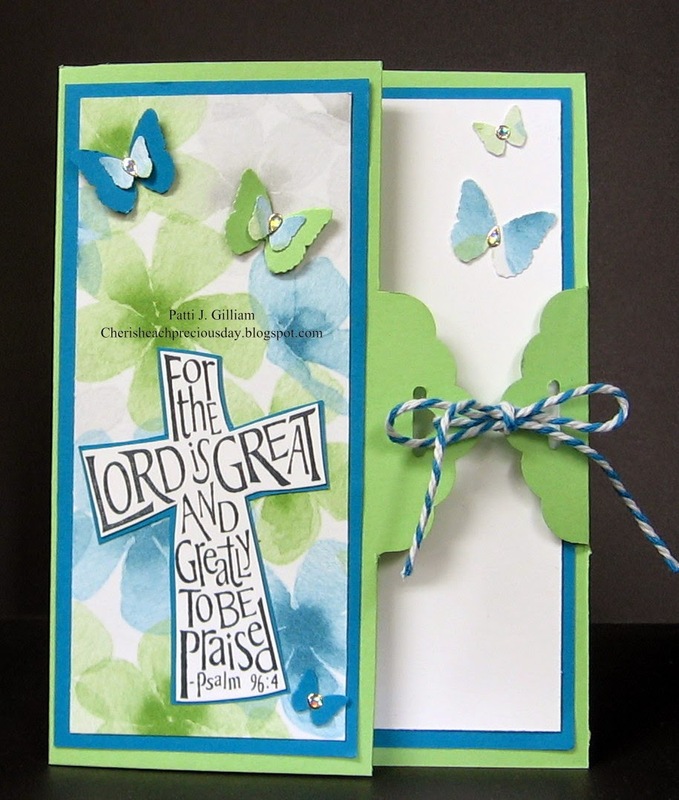 Trim down your panel, and create your card! VOILA! I used the Great Impressions Spool Trio stamp #E835S. This can be ordered on line, or found in your brick and mortar stores. I found this stamp at The Stamp Pad in Kimmswick, Mo. And, of course....my beautiful mats were created with my Perfect Paper Crafting Mini Rulers - see my sidebar for all the details! This card needed a very special hand written note inside, so there is no sentiment stamped on the front. Love, love, LOVE Great Impression stamps!